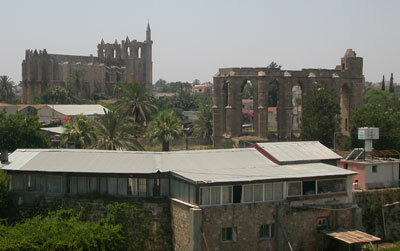 Famagusta is also referred to as the Ghost Town. 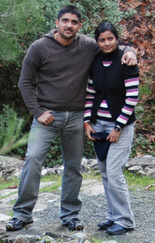 Most of this town falls under the buffer area with the U.N and has hence been left untouched for decades. 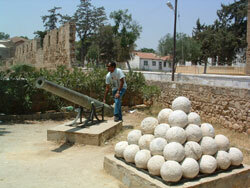 No one can gain entry in this area, but we can visit the part which lies within North Cyprus. It is also called as Gazimagusa in the North. 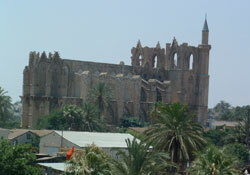 Famagusta castle is big and located very close to the harbour. You can easily spend an hour roaming around the castle. 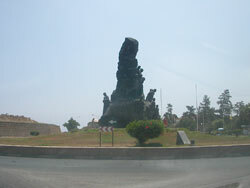 A short drive away from the castle is the town square where a church has been modified into a mosque. This mosque is huge and very impressive. 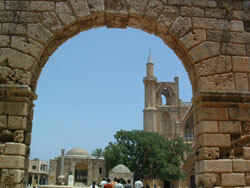 If you are planning a drive to the eastern tip of North Cyprus, famagusta can be your base camp. The restaurants especially the sea-food ones are supposed to be very good.